A sales process is only as good as the sales person who implements it. LeadSimple's sales course will teach you how to dramatically improve your sales from some of the brightest minds in the industry. This free course covers everything from improving follow up to managing a sales team to harnessing the power of automation. Growing a business is an ongoing process that brings unique challenges along the way. Dealing with those challenges well is essential to being successful. 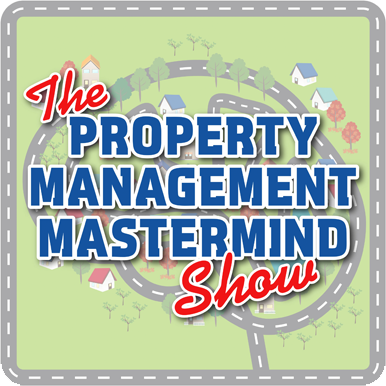 On the Profitable Property Management podcast, Jordan Muela interviews industry experts and world class entrepreneurs who've hit those challenges head on and come out on the upside. Whether you manage 100 units or 1,000, Jordan and his guests will help you see the big picture and give you the tools and tactics to help you achieve your goals. Join the PM Grow Summit if you are ready to grow your business, contribute to the improvement of the industry, and share ideas with other forward-looking professionals. You’ve optimized your customer service, built systems for accounting and even documented all maintenance procedures – so why are you still winging it in the sales department? RentScale will build your sales playbook and process, help you hire and onboard your next BDM, and give your BDM access to the ultimate sales mastermind, ScaleClub. Take the guesswork out of growth. ProfitCoach provides property managers with a degree of clarity and effectiveness by helping them identify the key profit drivers in their business. Consult with Fourandhalf for best-in-class lead generation and email marketing services. The team will help you set up your LeadSimple account to maximize every lead that comes in the door. Get a tried-and-true sales process out of the gate with the Business Development Toolkit. This is a compilation of email follow up campaigns, marketing materials, and more that integrates with LeadSimple from the sales team at RentWerx.